One billion smartphones will be sold in India in the next five years, new market research shows. More broadly across emerging markets, smartphone adoption is predicted to outpace bank accounts by the end of the year, opening up an increasingly clear opportunity for more multifaceted financial services. However, a range of technical constraints still hold some users back. Here are three ways to optimize for a more inclusive future. Not all networks are equal – and it is important to design services that account for this variance in quality. Last year, for example, 2G networks represented almost 84 percent of all connections in India, while in Brazil 2G networks represented only 32 percent of connections. To put this in perspective, downloading a moderately sized app can take more than 30 minutes on a 2G network. Slow network conditions are of course more prevalent in rural areas. 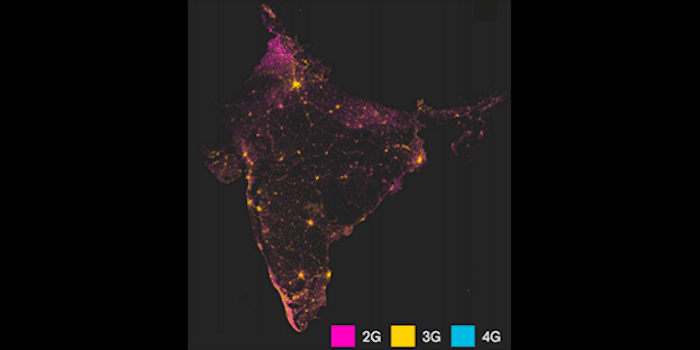 A satellite map of India that overlays average connection speeds from Facebook (below) shows this divide between rural and urban areas. This network breakdown plays out more broadly around the world. Globally, while 3G is estimated to cover 89 percent of the world’s urban population last year, it only covered 29 percent of the global rural population, according to the ITU. 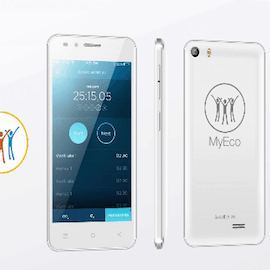 In the end, smartphone offerings need to better cater to these different network constraints, not only across emerging markets but also between rural and urban areas. For example, Opera Mini is a mobile browser that allows users to account for different network conditions by switching on optimization modes, including a high data-savings mode and an extreme data-savings mode. Compared to other mobile browsers in India, Opera Mini is reportedly able to use on average 89 percent less data and 14 percent less battery. This has helped fuel its adoption by more than 300 million active users, with the majority coming from emerging markets. Traditional app stores will not reach all users. Many would benefit from more localized avenues for app discovery. 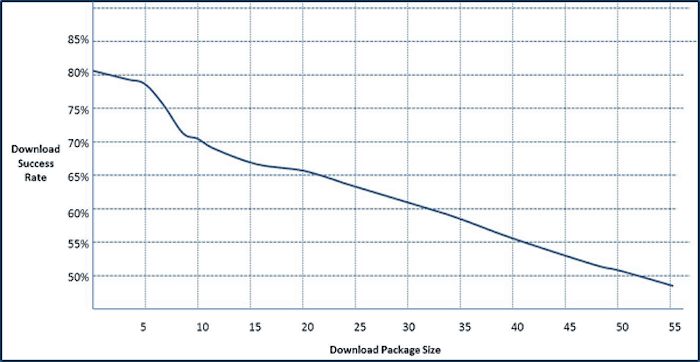 The below chart shows the rapid drop-off of download success rates as the size of an app increases, based on data from mobile users in China. This drop-off rate is likely steeper in other countries with more data-sensitive users. Source: Chart from Lightspeed “Unbundling Mobile App for Emerging Markets” based on mobile users in China in 2014. This in part has caused app discovery to go offline. An explosion of person-to-person (P2P) sharing apps that don’t use data and often use Bluetooth to transfer apps has enabled this. Apps such as SHAREit have reached over 400 million users, and Zapya has more than 300 million users. Translation into local languages can also be a powerful way to activate new users in emerging markets. 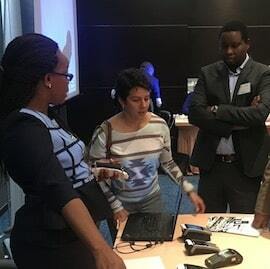 In 2014, when Facebook translated its interface into Swahili for users in Tanzania that previously had only been offered the interface in English, the adoption rate of monthly active users over the course of the year almost doubled. 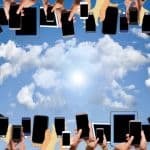 Mobile experiences that are only built for one type of smartphone device are leaving behind huge swaths of users. In the last two years, the number of Android devices on the market has more than doubled from 11,868 devices in 2013 to over 24,000 distinct Android devices in 2015. 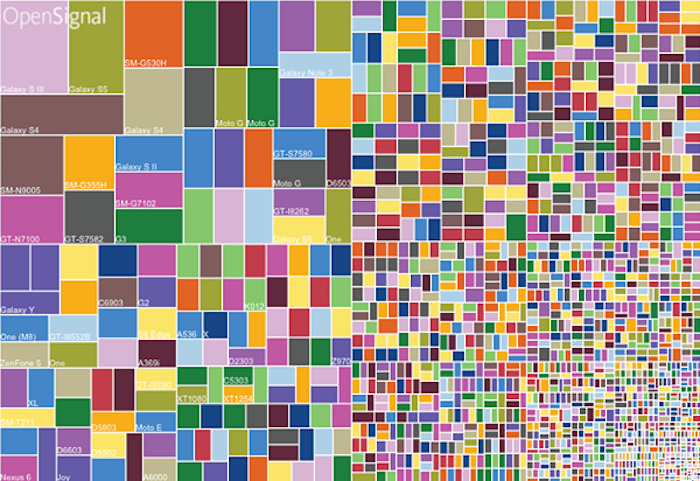 This fragmentation of Android devices, as seen below in the visual, has wide-ranging implications in terms of screen size, memory, computing power and battery life. Facebook lite is a version of Facebook launched last year, focused on optimizing for a range of low-end Android phones and poor network conditions. In nine months, the app has reached more than 100 million monthly active users. This post was originally published on CGAP’s blog. It is cross-posted with permission. Eric Tyler focuses on the intersection of mobile technology, economic development and entrepreneurship.